After a quick start by Misfits with 5 runs in the 1st inning, Beavers slowly clawed their way back into the game with some solid defence, giving up just 1 run in the next 4 innings and some good hitting of their own. Leading 8-6 after 5 innings, Beavers added another run in the 6th before Misfits scored 3 to tie the ball game 9-9. So tied into 7 and Beavers chalked up another 4 runs on what would surely prove to be enough to take the game, and after a couple of quick outs for Misfits it looked like it was going that way. 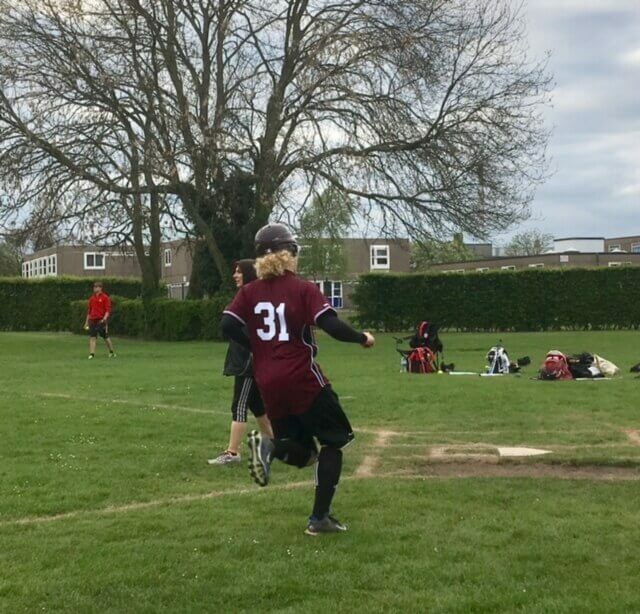 However, Misfits dug deep and suddenly found some rhythm with their bats, and they brought in the runs required on a 2 down rally to win 14-13, to show why they’re unbeaten in the league and top of the 2nd Division. No issues to report on a really close, enjoyable and competitive game.